Luxury Boarding for Your Kitty! "It's The Next Best Thing To Home"
Offering Luxury Boarding For Your Kitty. Located in Lakeville, IN just seven miles south of South Bend, Indiana. Thank you for the interest shown in our luxurious boarding facility. This means you maintain high standards. You are only prepared to accept the best accommodations! Being cat owners ourselves, we understand this completely. Your kitty is precious to you and deserves the best possible treatment, especially if you are enjoying a well deserved holiday yourself. 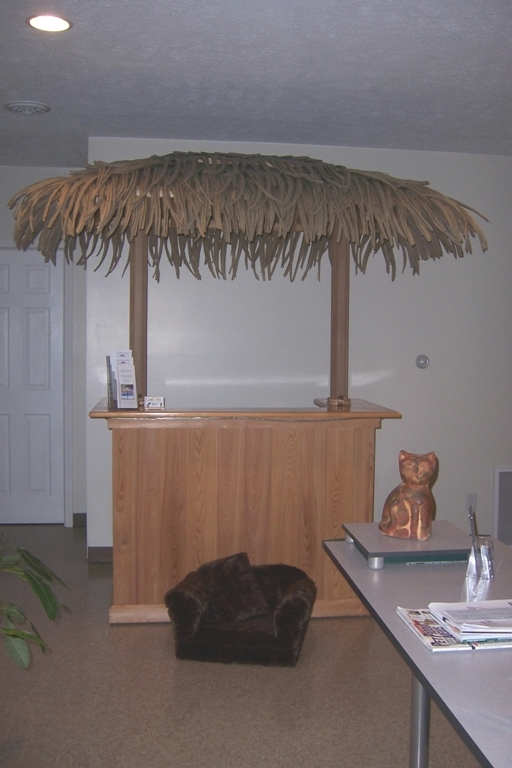 In fact, we regard our facilities as a cat hotel, where the host personally ensures nothing is lacking. 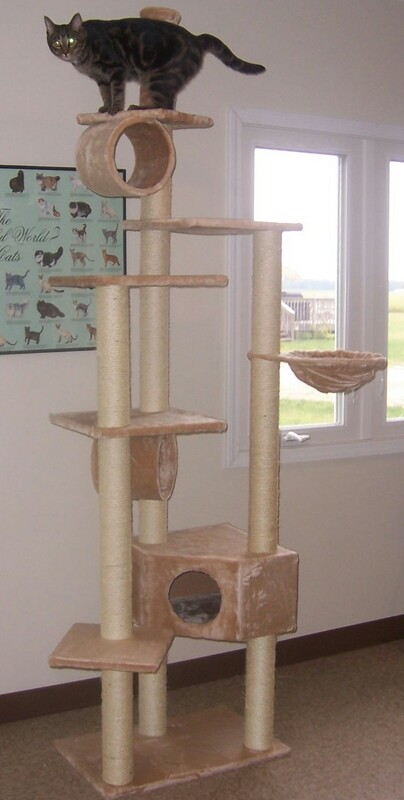 At last, a place that your kitty can fondly consider their home away from home…. 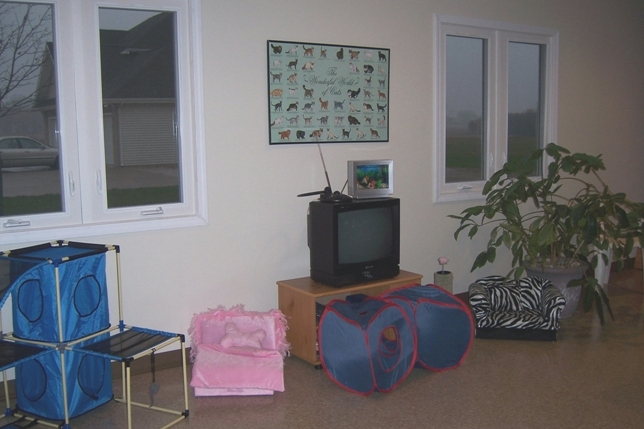 A place where you can feel at ease leaving your kitty, knowing they will have fun and receive the best possible care. While you are away for a weekend or a few months just knowing your special kitty is receiving special care, will enable you to fully relax, and concentrate on your business trip or enjoy your special getaway. 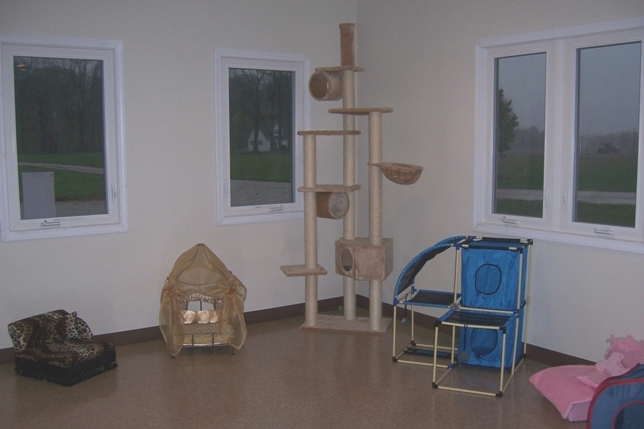 In addition to ample human interaction given during your kitties stay, they will also have opportunities to roam the spacious recreation area, climb on the Kitty gym, or simply lounge by the TV. So don’t worry, Club Purr goes the extra mile to provide first class accommodations and fun-filled activities for your very important kitty. Not to mention maid and room service at least twice daily and catnip marinated faux mice specially prepared by their personal chef. Pictured Above is the Kitty Motel Recreation Area.